TRIVIA TIME!!! 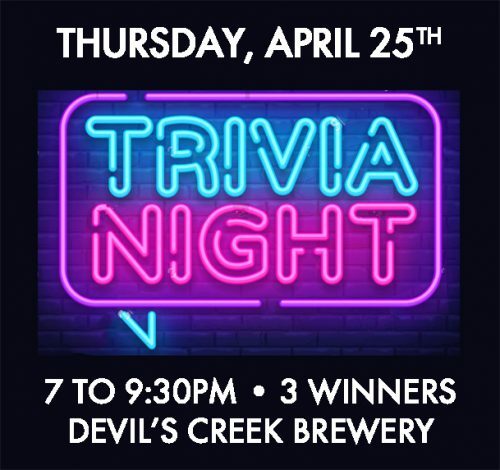 We’ll be serving up three rounds of trivia and 12 different beers! Three teams will win!